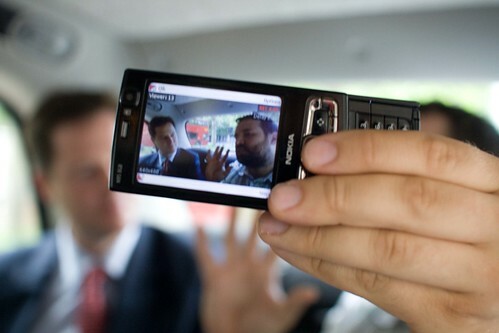 Interviewing Nick Clegg in a cab. Video and audio captured and live streamed with a Nokia N95. There seems to me to be a lot of interest now (almost 5 years later) in Journalists shooting their own video interviews. Restrictive budgets and the need to work faster driving Journalists online to purchase their ‘Selfie Sticks’. Surely a wider angle lens would be quicker and easier. I’m commenting on a blog post from nearly six years ago.